I'm gonna be straight with you guys: I'm kind of a big nerd. And not just the kind of nerd who loves Harry Potter and Lord of the Rings (I'm that kind of nerd, too), but a nerd who is obsessed with learning. I was the kid who got straight-As in school and liked to study. The girl who went to back to graduate school because I missed sitting in lectures and writing research papers. The kind of person who seriously considered being a student forever… if only I could afford it! So when Skillshare approached me recently about trying out their online library of cool courses and workshops, the knowledge nerd with in me was jumping for joy. 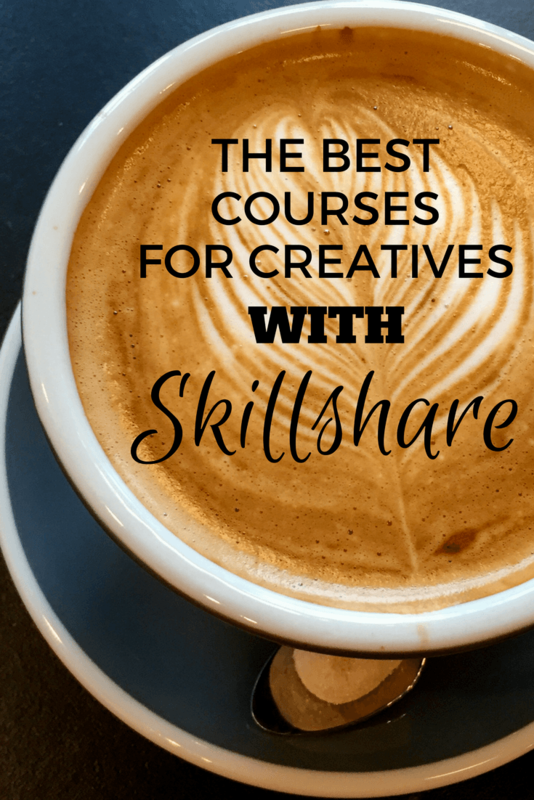 Skillshare is an online learning community that offers students more than 16,000 classes in categories like design, photography, writing, film, crafts, technology, business, and even culinary. You can take courses on everything from search engine optimization to documentary filmmaking to Excel to making fresh pasta. The range and depth of courses on Skillshare has really surprised me, and it took me quite a while of sifting to settle on the ones I wanted to try out first. 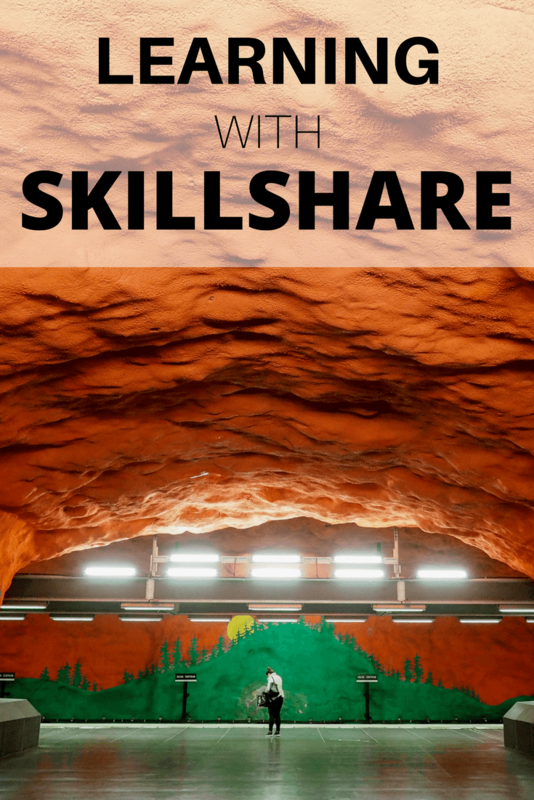 Want to try out Skillshare for yourself? It's usually $15 a month (paid monthly), but for a limited time they're giving YOU, my dear readers, two free months of unlimited access to all of their online classes. Just click here to start your two free months. I decided to focus on courses that were a.) truly taught by experts and b.) relevant to what I do as a travel blogger. I remember studying works by New Yorker author Susan Orlean in my Literary Journalism class in college. So when I saw she had a Skillshare course about writing nonfiction, I immediately started watching! This course is structured into lessons that cover things like how to find an intriguing topic, preparing for reporting, writing ledes, using dialog/quotes effectively, how to write descriptively, handling expert opinions, revising, etc. The cool thing, though, is that she uses one of her more famous pieces, “The American Male at Age 10,” to illustrate each lesson. 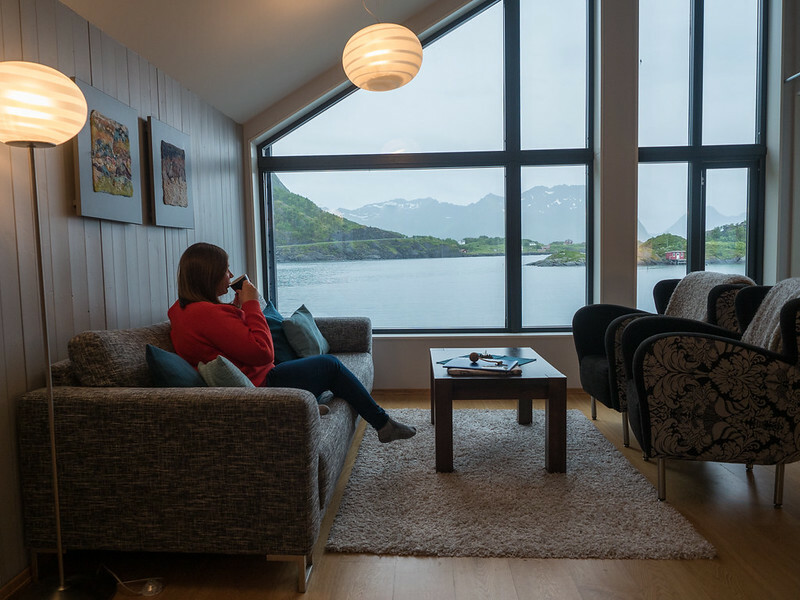 Travel writing is, of course, just one type of creative nonfiction, so I actually got a lot out of this one. If you've never heard of Rand Fishkin before, he's kind of a god in the search engine optimization world. And he's the kind of god who loves to share what he knows with others. 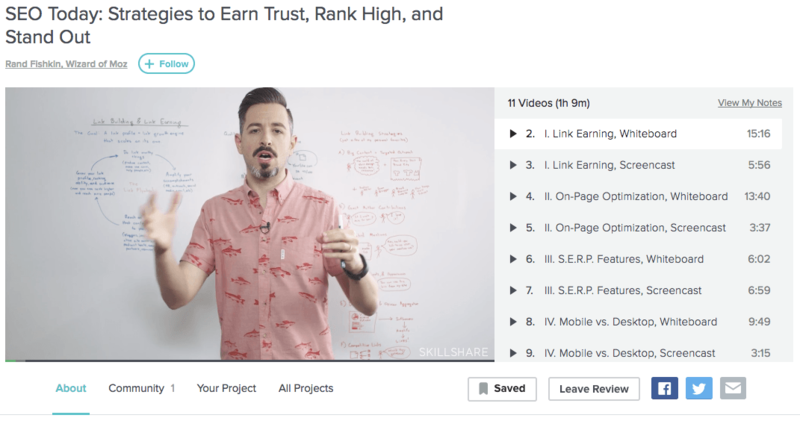 This course goes beyond the basics of SEO (though he has a Skillshare course on the basics, too!) to cover things like link earning (not building! ), on-page optimization, SERP features, and mobile vs desktop and what that means for search and SEO. Rand mixes his famous whiteboard sessions with screencasts, where he shows some super useful tools you can use for your SEO research. If you've never watched anything Rand has done, do it. He breaks SEO down in ways the average person can understand AND he's super personable. The takeaway from this one for me? 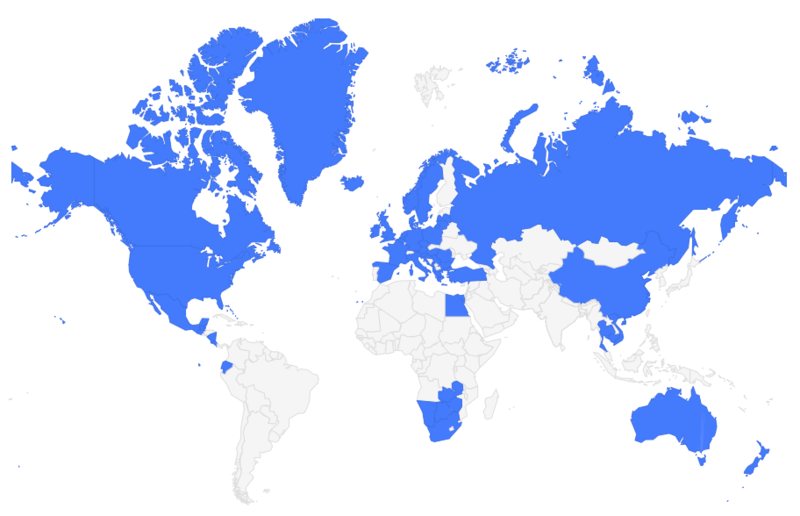 It might be time for me to invest in some SEO tools! I love photography, but admit that I am completely self-taught – meaning I always have more things to learn. When I'm on the road, I'm mostly drawn to pretty landscapes; I very rarely do any sort of street photography. So this course taught by a noted street photographer seemed like a good one to add to my list. The course focuses on four main types of shots: the look-up, the street portrait, motion blur, and night photography. The first half is about taking the shots, while the second is about editing them. Students are also encouraged to submit their own set of four photos, and I love this interactive element of many of Skillshare's courses. I'll admit that I wasn't sure how much I was getting out of the course as I was watching all the lessons. 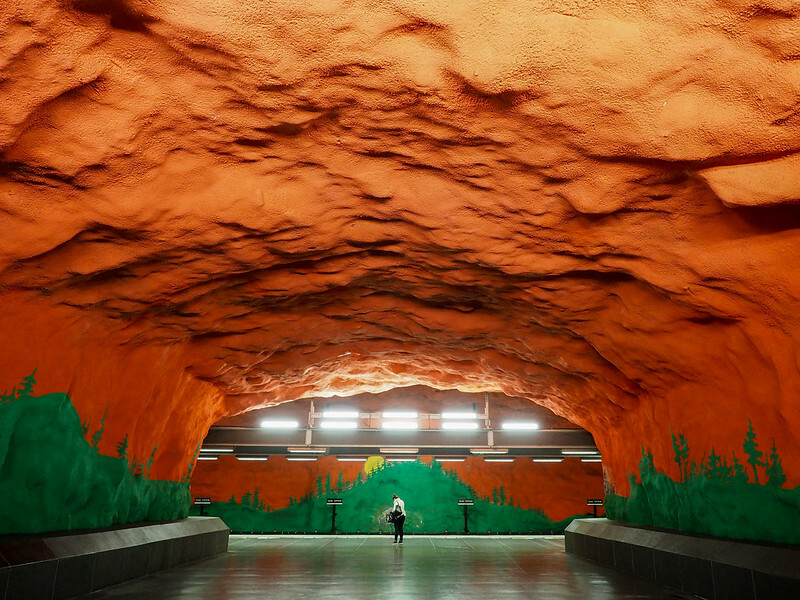 But when I was out taking shots in Stockholm's metro stations the next day, I noticed myself framing things and looking at scenes differently than I normally would. So consider my street photography game to improve! For example, I used a street photography tip for this shot: frame your shot, and then wait for someone to walk into it. It worked! Documentary Photography: Capturing Places and People by Ami Vitale. This short 35-minute course is taught by a National Geographic photographer and focuses on capturing people. I usually shy away from portrait photography, but Amy stresses putting yourself IN a place or scene so that you're not being sneaky about taking those photos. She says “Don't let your camera be a barrier – let it be a connector.” I love looking at it that way. Context is Key: Social Media Strategy in a Noisy Online World by Gary Vaynerchuk. This course is a few years old, but the message of how important *context* is in your content – putting out compelling content that tells a story (or at least your story) – is still very relevant. Up next: I've got Fundamentals of Lightroom I: Organize Files and Boost Your Workflow in my queue, because I use Lightroom… but very poorly. What I like about Skillshare's courses is that none of them are terribly long (on average they run anywhere from 30 to 90 minutes), and they're divided up into small chunks so you can keep track of your progress. You can also choose to watch/listen at a faster speed if you want – 1.25, 1.5, or 2 times the normal speed. Some of the courses in more creative subjects also include “projects” or assignments you can take part in using what you've learned in the course, too, which makes many of the tips you'll get more actionable. Overall, I've enjoyed getting to know Skillshare so far and can actually see myself using it in the future when I need to give myself a break and indulge my inner knowledge nerd. Go ahead and sign up for your 60-day free trial and then let me know which course you're going to try first! Perfect! The great thing about the courses on Skillshare is that they’re short, too – meaning you can try out a bunch but don’t have to invest a lot of time or money in something that you may wind up not really enjoying! There are so many great courses on there – and yes, tons of useful ones for when you’re first starting a blog! Glad to hear they helped you out a lot. There are lots of photography courses on Skillshare! I definitely will be looking at more, as there are some technical things I could really stand to learn more about! i will be checking this out. i really want to start my own blog but i am not techy at all, am old and do nothing more with my computer than check email and look at facebook. oh…and book travel. lol. think these will help a really really green beginner? 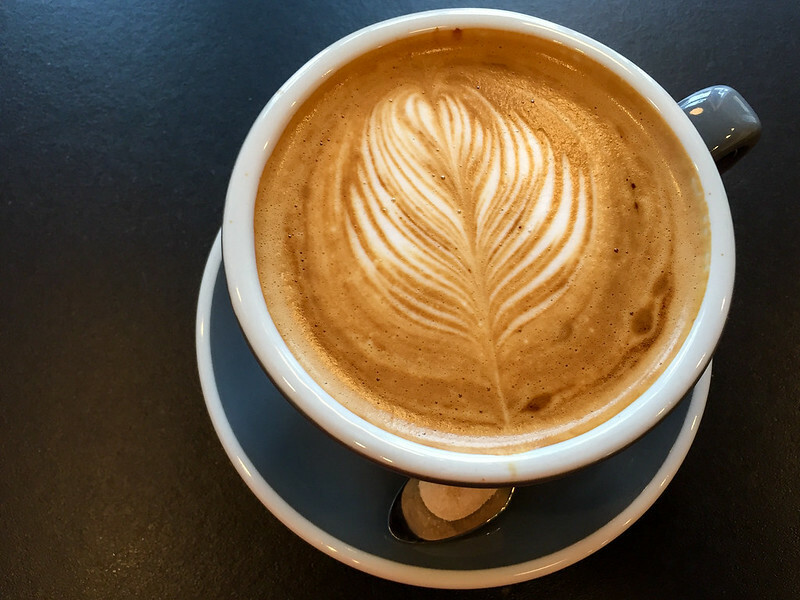 I think the best membership/course for beginner travel bloggers is probably Travel Blog Success (https://travelblogsuccess.com/?ref=658), but if that’s not a cost you can justify just yet, Skillshare is a great place to start (plus, it’s free!). There are all sorts of courses on Skillshare related to blogging – 565 of them to be exact! This is very cool! I’ve not heard of skillshare before, so it’s great to learn about it. Plus, the cost is decent (especially the two free months). Thanks for sharing! ‘Sounds pretty interesting. I’ll certainly take a look! I’m a total nerd and love learning new things too, but I’ve never heard of Skillshare. I’m off to check it out! Thanks for sharing! Yay! I’m glad I could introduce you to it – let me know if you take any cool courses! Thanks for sharing this! I am also always looking forward to acquire a new skill and this website has got such a huge variety of courses!I am already excited and looking forward to explore this. Many thanks for sharing this. I’m really enjoying Skillshare myself, so I’m glad to be able to introduce others to it!